Your New Year’s Resolution—turn over a new leaf, or lots of them. Start composting. Recycle your fruit and vegetable waste, and yard and garden trimmings into a rich soil amendment for your garden, all in your own backyard. 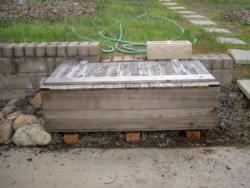 Composting is simply the natural process of organic matter decomposing. The end product is a soil, a humus-like material—a multivitamin for your garden soil. Below are links to helpful websites, publications, and the Fair Oaks Horticulture Center events schedule. At each Open Garden event, Master Gardeners will be working in the Compost Demonstration area and are available to answer your questions about composting and worm composting. Join us! For details on the composting activities at the Fair Oaks Horticulture Center, visit the link in the gold bar above. 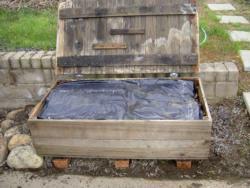 Master Gardener Composters' timely tips for garden composting and worm composting. California Master Gardener tip sheet (PDF) - Composting is Good for Your Garden and the Environment. Fair Oaks Horticulture Center gardening events schedule. Composting workshops sponsored by the Sacramento County Master Gardeners. Composting tutorial from Urban Composting. Cornell Composting provides composting educational materials, including fact sheets, developed by Cornell University. 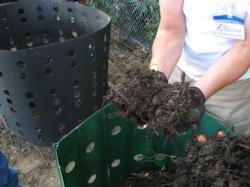 All about composting from the University of Illinois Extension.